How about forwards compatibility, Nintendo? A new firmware update for the struggling Nintendo Wii U console has added a new string to the touchscreen GamePad's bow - the ability to play original Wii games on the smaller 6-inch screen. The feature will allow users to turn off the television (or indeed change the channel if everyone else is fed up with Mario) and continue playing classic Wii games exclusively on the GamePad. 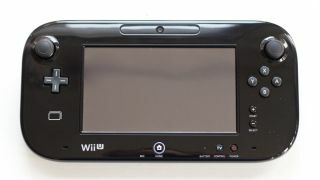 However, users will still need to use the old Wiimote and Nunchuck combination in order to play the game, which means resting the GamePad upright on a flat surface. As the Wii U is already backwards compatible with original Wii games, folks will need to keep the console running, while enjoying the game on the small screen. The update comes at a time when backwards compatibility and remote play are a hot topic as we build up to the launch of the competing Xbox One and Sony PS4 consoles. Sony is working with Gaikai in order to provide backwards compatibility for previous generation PlayStation games over the cloud, while Remote Play will be available using the PS Vita handheld. Just last week, Microsoft reportedly demonstrated a cloud streaming project for Windows devices, which could potentially provide access to the vast back catalogue of Xbox and Xbox 360 games that are incompatible with the Xbox One. Nintendo already has an upped hand in this field by building previous generation compatibility into the new Wii U, but it's struggles are related to the lack of top software titles available for the new format. New games will save the day for Nintendo Wii U, says Iwata, but where are they?